We learned a ton during our first grown up tailgating experience last year; things to repeat and things to tweak a bit. 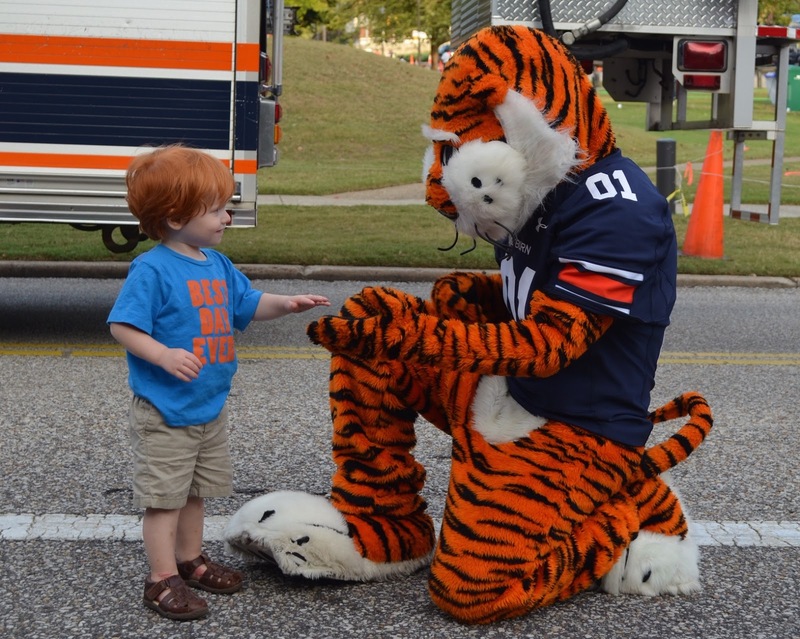 We earmarked this weekend a long time ago on our calendar to go to auburn, tailgate and go to the game. 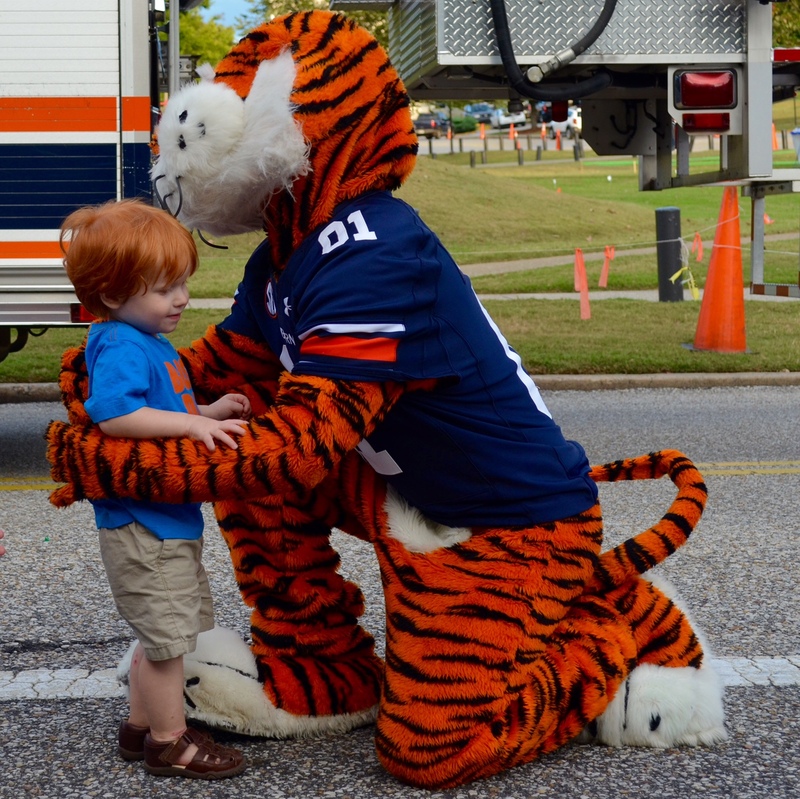 Auburn was playing LA Tech (cheaper tickets, less stressful game), it was homecoming and late enough in the season to hopefully not be sweltering hot. We liked our spot near the library, but knew we wanted to scout and tape off campus parking places a little closer so we were not lugging equipment as far. 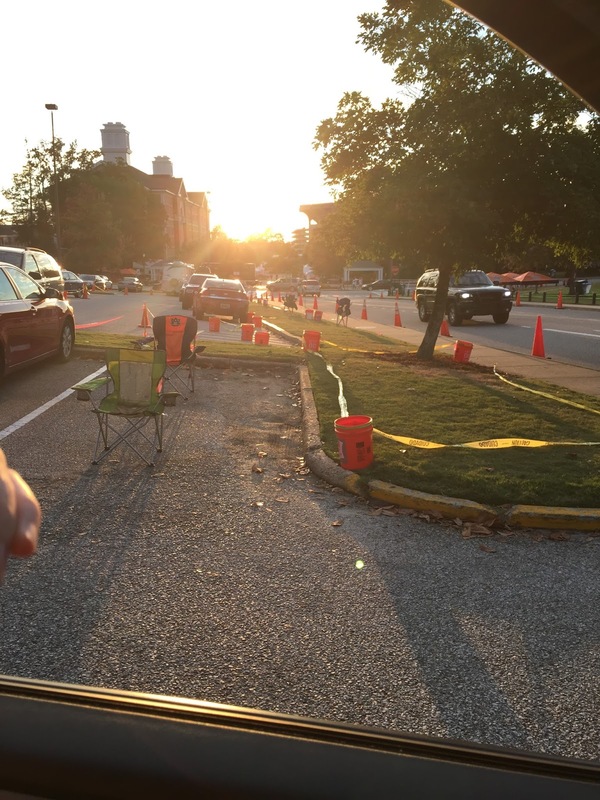 As soon as other people start putting chairs and tape in parking places, we start doing the same. By the time we got to Auburn Friday afternoon, Travis and Mike had a great little patch of grass claimed by a shade tree and we're getting the tents raised. The official "this is our space don't take it" tape can get put out at 4 pm on Fridays. But there again if it is 3:47 and everyone else is doing it...you just follow suit. We had the tents secured and lowered, tape out and 4 parking spots in the lot across the street acquired by 4:30 and were all set. From there Andrew, Perry and I wandered downtown for a little shopping and some Toomers lemonade. 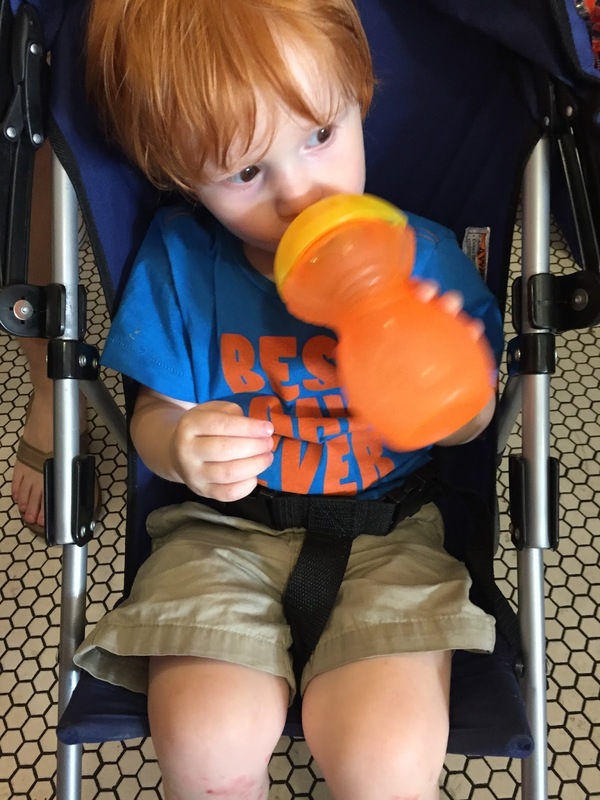 Perry seemed to love his sippy cup full of the perfectly sour and sweet concoction. Samford Hall was as beautiful as ever. Walking Samford lawn is one of my favorite things to do. 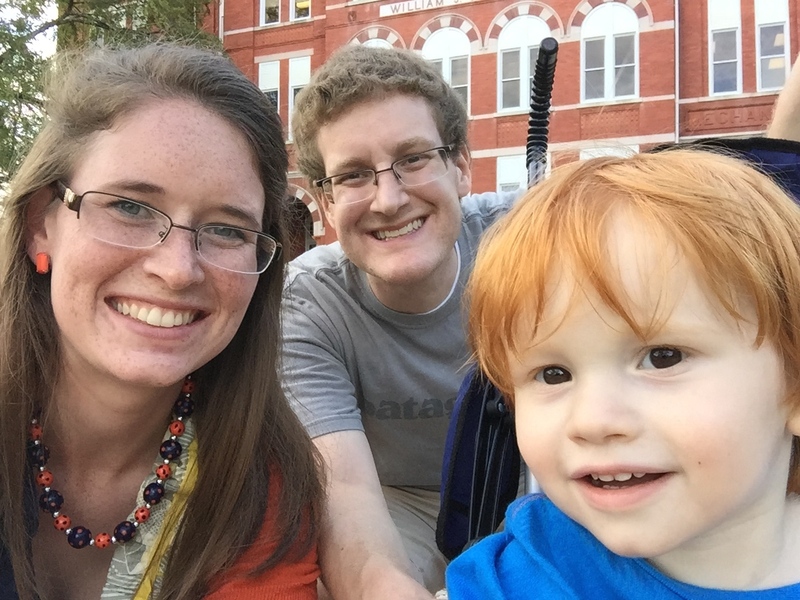 I wanted to get a family pic, but didn't really want to deal with taking P out of his stroller and finding a stranger to take the picture...so we got down on Perry's level and took a family selfie. What happened next was one of the best moments of the entire weekend. We headed back towards the library and the car but stopped to see all the parade floats and band that were congregating along Mell Street waiting on the parade to start. 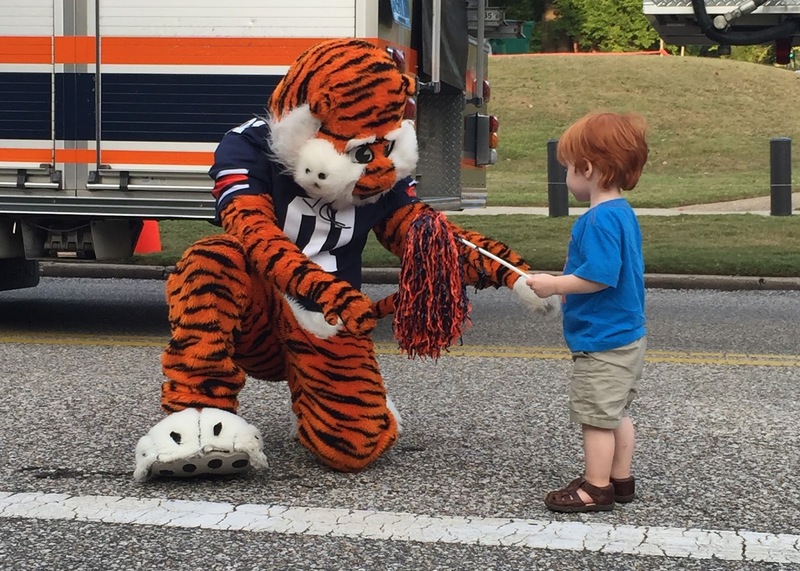 Then we spotted Aubie, just standing by himself next to a firetruck that he was going to be riding momentarily during the parade. So we walked over and Perry went straight for him and got oh about 5 minutes of just personal interaction time. It was ah-mazing. 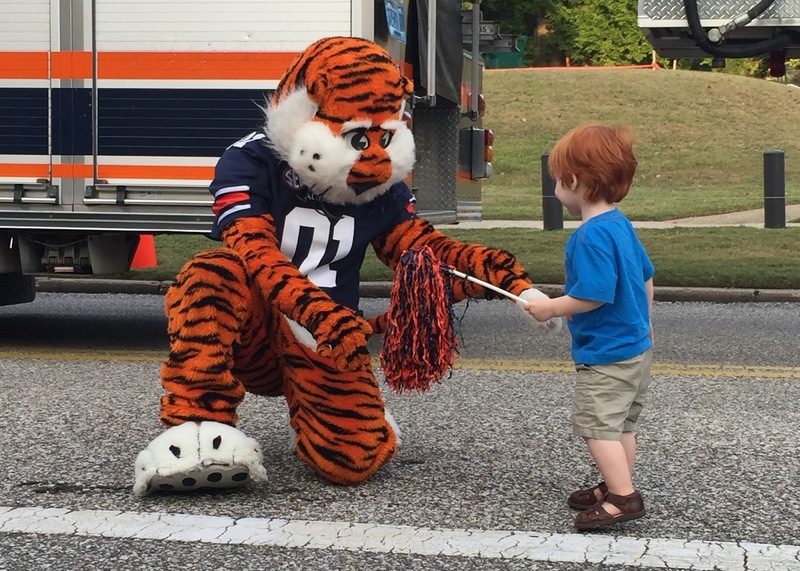 Aubie sat down on the ground and let Perry pet his tail, gave high-fives, blew kisses, and taught him to shake the shaker. There is a precious 15 second video clip that I posted onto instagram and facebook today of part of their interactions where they communicated about the truck that was apparently driving up the road. 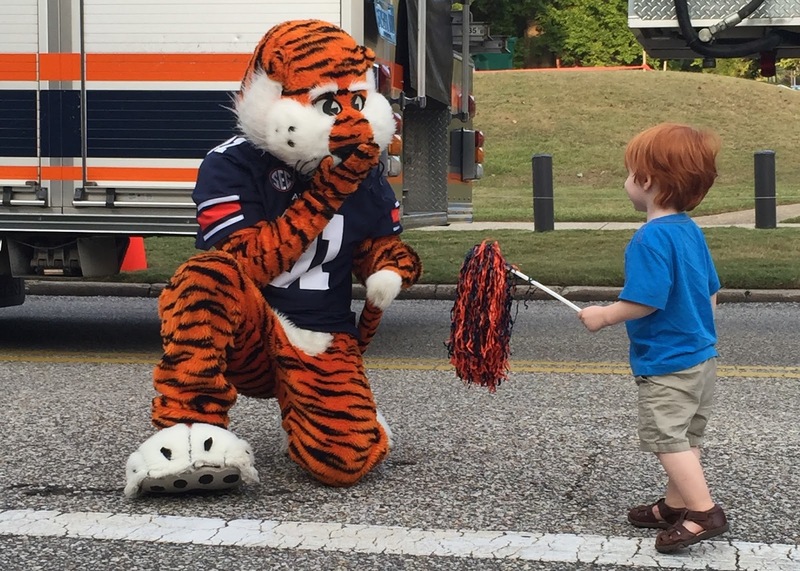 We really do have the best, most lovable, mascot ever. Perry was not afraid of the giant cat one bit. Hoping this bodes really well for us and Disney characters here soon. 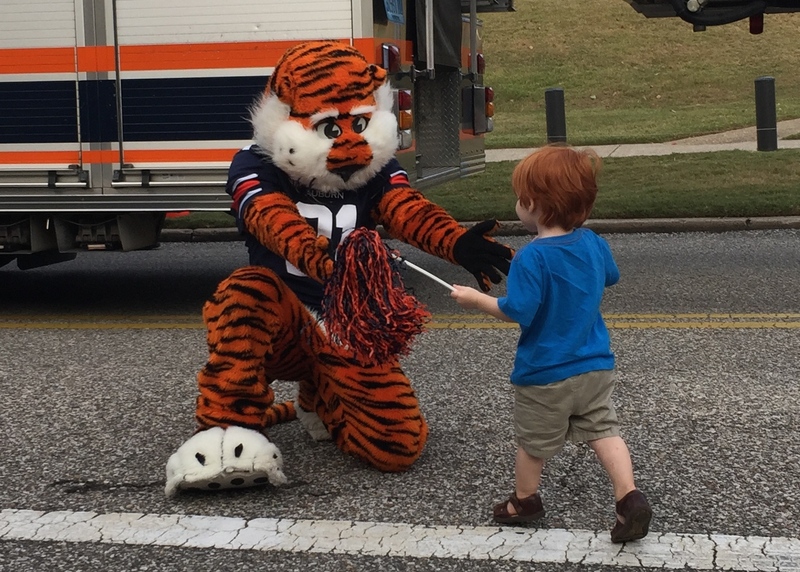 Once we had our fill, and our hearts were filled with sweet memories and pictures and video, we bid Aubie farewell but said we would see him again the next day and help him cheer our tigers on to victory. 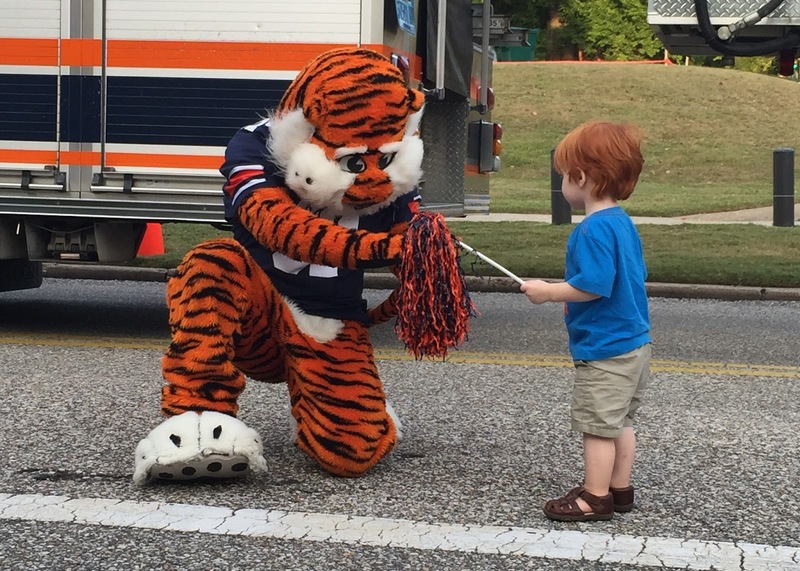 Then we went and met up with Gina, Travis, ML and Michael for dinner at the Brick Oven in Opelika and had a group grocery shopping outing to get food and drinks for the tailgate the next day. About 8:30 we made it to our hotel in Opelika and were all quickly asleep so we would be ready for a fun, but full, gameday.